Sugar and Spice and Everything Nice, That's What Little Girl's are Made of. She'll be "tickled pink" by the sparkle in this charm made just for little girl's. With genuine sterling silver and Diamonlux™ Cubic Zirconias, pave set encrusting around this stunning charm, sure to be a treasure she will adore. 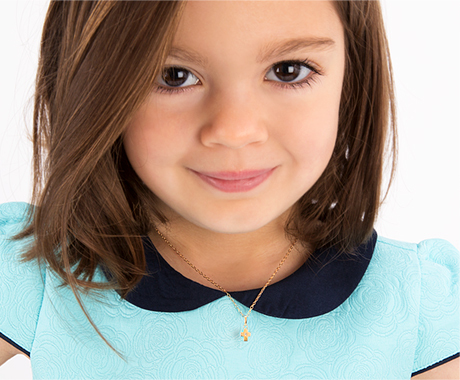 Your little girl can design her gift and interchange her charms to her heart's desire. Each bead and charm tells the story of everything that makes her who she is and everything you love about her. Presented with an Adoré™ Collector Card, you can be assured that this is something deserving of your baby girl!